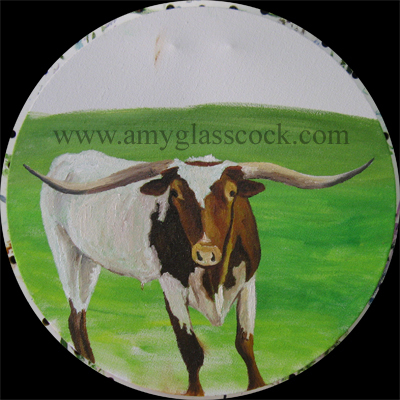 10.25.2010>>> I am going to paint some Longhorns next! Stay tuned!!! 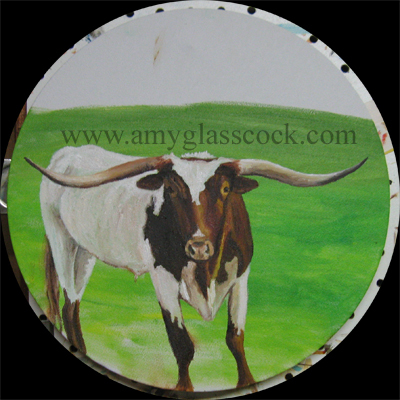 I started the background for my other longhorn today too. 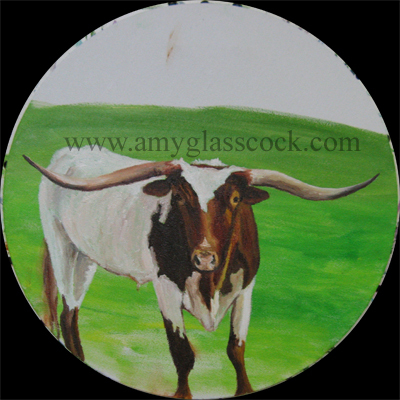 I worked more on the cows face and horns and I added the tail. I am really happy with how his nose is coming along! 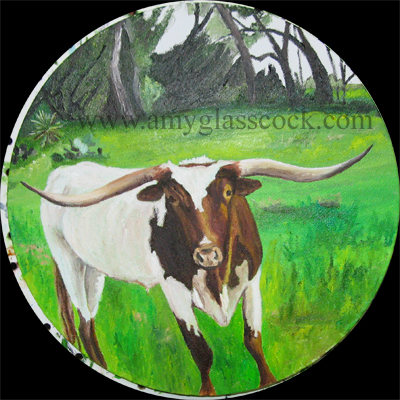 I worked on some of the white areas today. I started working on the background today. 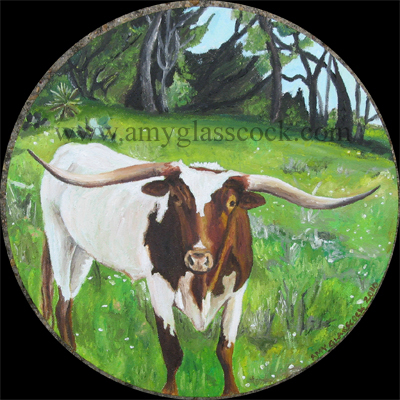 I did more work on the grass and the background. I worked on the background some more. I added the blue sky and worked on the trees. 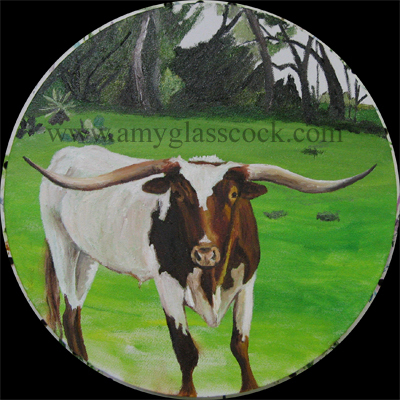 I toned down the white tree in the background and worked on adding dark brown to the edges of some of the trees.